This is a unique system that brings the concept of pressure points within a market to the opening of the day. How a market opens is as critical as where it finishes. This is the system that was personally developed from intraday trading and hedging out of necessity. It was developed in the 1970s to handle a PANIC and there is truly nothing like it on the boards. This was available ONLY to major institutional clients previously. We will allow non-institutional subscribers but you MUST attend a seminar on this system. That will be a minimum requirement for professional traders only. Some sell signals on the open pick the very day of the low and require quick and rapid action. 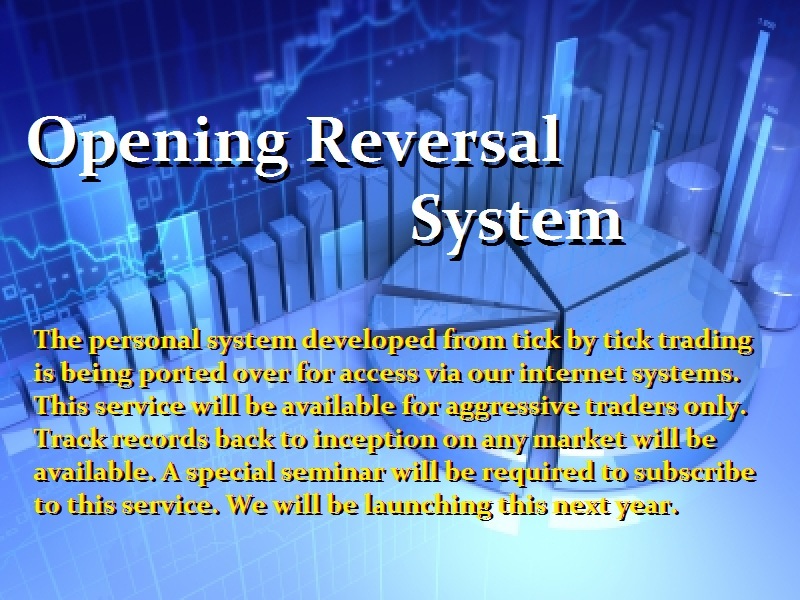 This system tends to be more aggressive than the Closing Reversal System. Clients who have known of this system begging to bring it online will get their wish. We are working on the terms and conditions for this service. We will inform everyone when it goes live. This appears to be January. It is in testing right now to ensure the code has been ported over correctly.